The Aster Family is full of wonderful, prolific plants. This native perennial spreads abundantly and will self-sew easily. This divaricated or widely spreading plant is happy to thrive in sun or shade. It stands at 1 to 2 feet tall with masses of small white flowers. 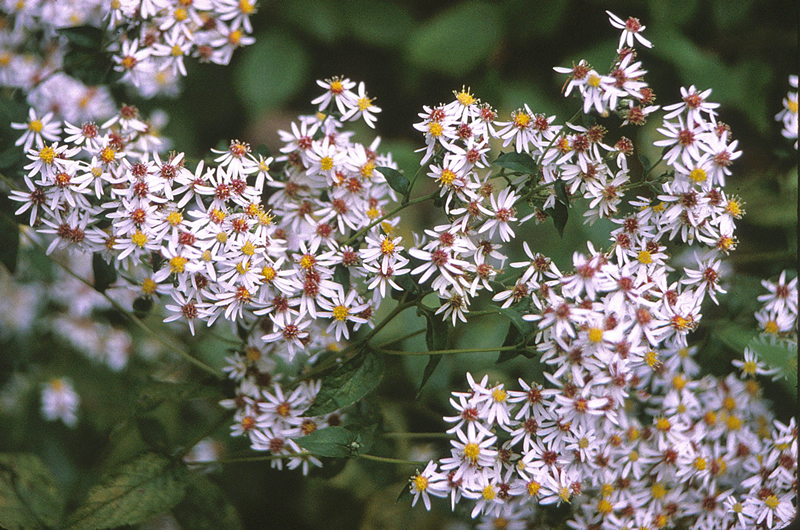 White woods aster can live well in fairly unkind conditions. Found from New Hampshire to Ontario and south from Ohio to Maryland and wide spread as to the mountains of Georgia, which includes all of Zones 3 to 8.